Choose any of our private venues to host your teen's BIG BASH! Your private venue is for the exclusive use of your party only. 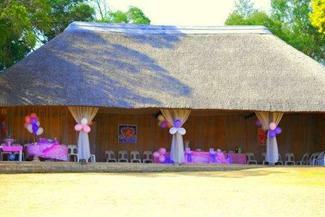 We have four 13 x 6m thatched lapa areas, and one large 14 x 21m lapa for larger groups. 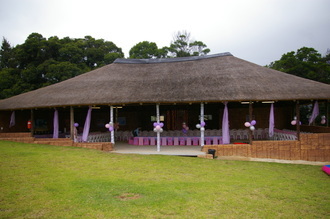 Any venue can be used, depending on the amount of guests invited. If you have more than 50 guests, we would suggest the Marvelous Memories venue. Our stunning smaller venues are perfect for groups of less than 50 people. Parents will have peace of mind while teens party the night away in a safe and controlled environment. If you have a large group this venue is perfect for your needs. This huge lapa area with enormous playground is ideal for large teen fucntions.